It's Earth Day! So you know what that means--Origins is giving out free full-sized cleansers if you bring them your current cleanser (full or empty) to swap out harsh chemical ingredients for more gentle high-performance ingredients. 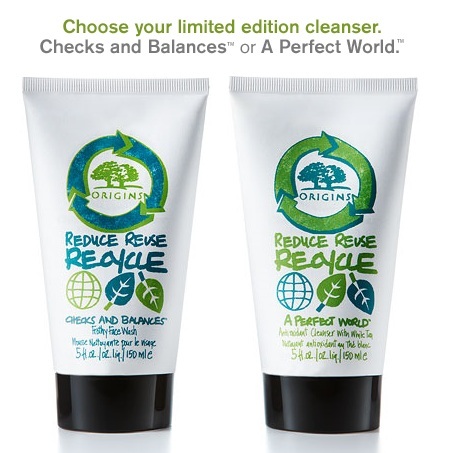 This year, you must fill out this form first and then head over to your local Origins counter where you can choose from a limited edition Checks and Balances (a personal favorite) or A perfect World. Awesome! I love Origins. Especially the white tea stuff. I know, they have some really great skin care products. 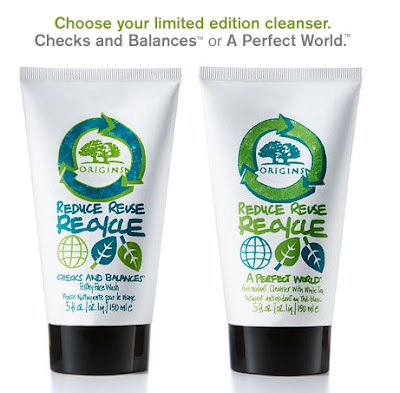 I love their A Perfect World moisturizer--it's awesome!